RESTON, Va., March 21, 2018 – tiag® (The Informatics Applications Group, Inc.) — an innovative technology company providing strategic, transformational solutions to private industry and across the Department of Defense — received a prestigious appraisal at Level 3 of CMMI® Institute’s Capability Maturity Model® Integration (CMMI) for Services. In addition, tiag achieved certification for the rigorous International Organization for Standardization (ISO®) 9001:2015 for quality management systems (QMS). tiag President and Chief Operating Officer Neil Lampton notes that tiag pioneered the first-ever joint CMMI Level 3 for Services Appraisal and ISO audit after receiving special permission for this approach from the CMMI Institute and ISO certifying authority. 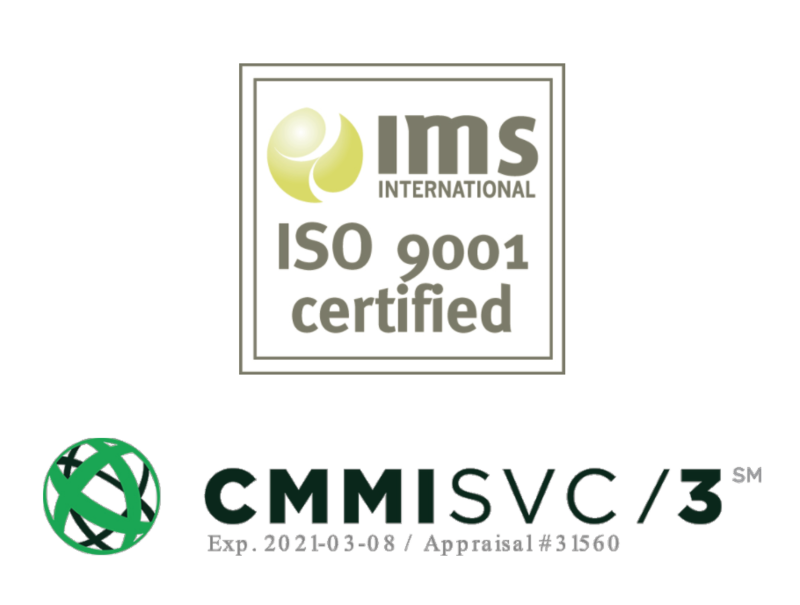 CMMI partner Assess-IT, Inc. performed the appraisal and the ISO certification was completed by IMS International — a global certification provider and UKAS Accredited Certification Body. tiag Managing Principal and Chief Strategy Officer Umang Modi says the company received its CMMI® Institute rating for Maturity Level 3 of the Capability Maturity Model® Integration (CMMI) for Services on March 12, 2018. Considered a global standard for efficiency, CMMI is a capability improvement approach that provides organizations effective processes and best practices that improve performance. Achieving CMMI appraisal at CMMI Maturity Level 3 under Services (SVC) indicates an organization is performing at a “Defined” level — meaning its standards, procedures, processes, tools and methods are well characterized, understood, established and improved over time. Effective March 13, tiag was ISO 9001:2015 certified for large-scale consulting, information technology and software development services and projects in business areas including cloud integration and data center consolidation, mobile platform and software development, cybersecurity and information assurance, user-centered design, infrastructure optimization, clinical and business informatics, knowledge management and business intelligence, workforce development and business transformation. ISO 9001:2015, which focuses on QMS and performance, is the most updated standard of its kind that helps organizations develop a management system that aligns quality with the wider business strategy. The emphasis on risk-based thinking and accountability in all organizational processes ultimately improves communications, efficiency and implementation of continuous improvement. The accreditation of tiag’s QMS followed an extensive external audit of the firm’s quality management policies and practices, and evidences tiag adheres to best practices in quality management as defined by the globally recognized ISO standard. For greater insights about tiag’s IT solutions and services, please contact UModi@tiag.net. ISO 9001 is the international standard that specifies requirements for a quality management system (QMS). Organizations use the standard to demonstrate the ability to consistently provide products and services that meet customer and regulatory requirements. It is the most popular standard in the ISO 9000 series and the only standard in the series to which organizations can certify. ISO 9001 was first published in 1987 by the International Organization for Standardization (ISO), an international agency composed of the national standards bodies of more than 160 countries. The current version of ISO 9001 was released in September 2015. This standard is based on top quality-management principles including a strong customer focus, the motivation and implication of top management, the process approach and continual improvement to ensure customers consistently receive high quality products and services. CMMI Institute is the global leader in the advancement of best practices in people, process and technology. The Institute provides the tools and support for organizations to benchmark their capabilities and build maturity by comparing their operations to best practices and identifying performance gaps. For over 25 years, thousands of high-performing organizations in a variety of industries, including aerospace, finance, health services, software, defense, transportation and telecommunications, have earned a CMMI maturity level rating and proved they are capable business partners and suppliers.